Pre-heat oven to 350 degrees and grease the bottom of a 9? springform pan. In a small bowl, mix together brownie mix, egg, and cold water. Spread in the bottom of the greased pan and bake for 15-18 minutes. Remove from the oven. Melt the caramels with the evaporated milk in a saucepan over medium heat. Stir frequently, until it has reached a smooth consistency. 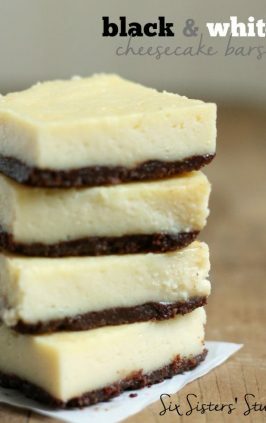 Pour 2/3 of the caramel mixture over the baked brownies, reserving 1/3 to pour over the top of the cheesecake at the end. 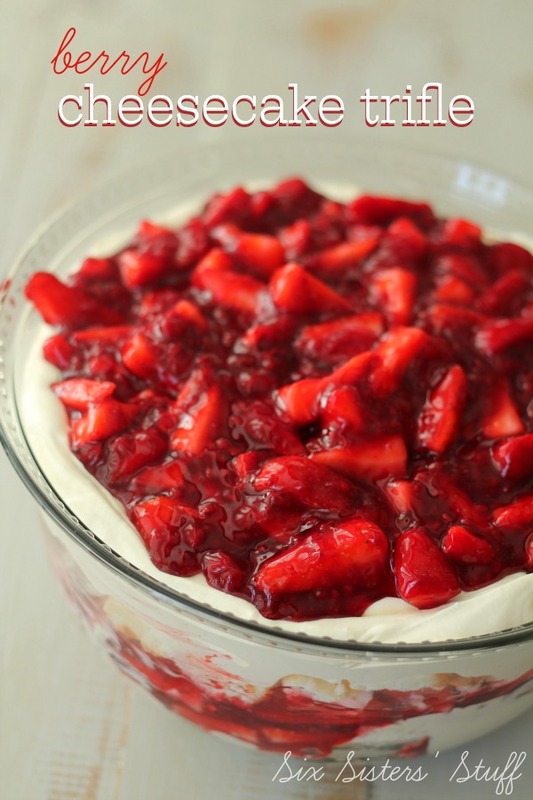 In a large bowl, beat cream cheese, sugar, and vanilla together until smooth. Add in the eggs one at a time, beating well between each one. Pour cream cheese over caramel mixture. Bake the cheesecake for 50 minutes, still at 350 degrees. Remove from oven and let it chill in the pan. 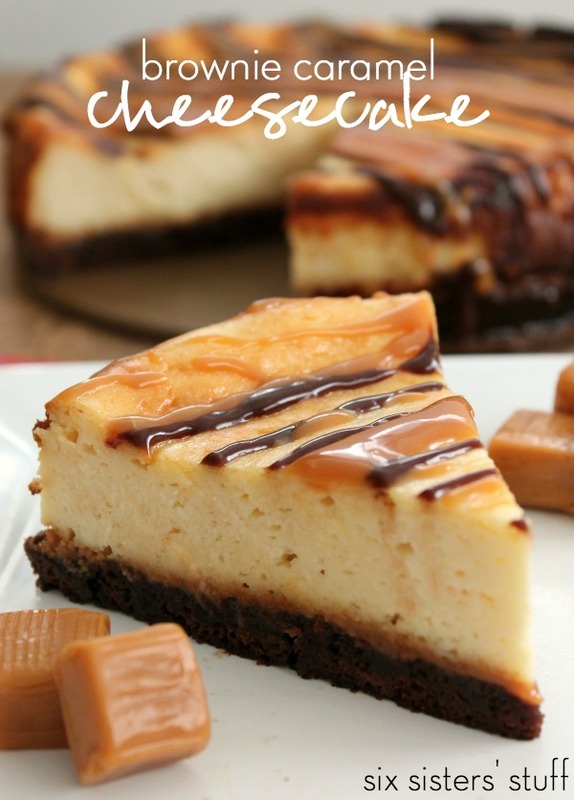 Heat the reserved caramel and fudge topping, and pour over cheesecake before serving. This recipe looks so good! 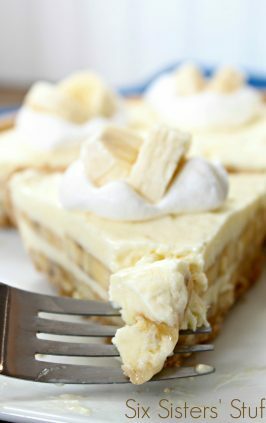 It reminds me of a cheesecake dessert at a local restaurant and now I can try it at home! Thank you for sharing. Thank you for sharing your wonderful recipes with us. I will enjoy this recipe also. I loooveeeee cheesecake. I live in a rural community and cannot find Jiffy Brownie Mix. Can I use another brand and if so what variety/brand, package weight or pan size is equiv to the Jiffy mix? Jiffy Brownie Mix comes in an 8 ounce box. So you may need to use a partial box of another brownie mix. My sister and I both made this cheesecake and the brownie turned out very hard and would not come off the pan. Just wondering if the bake time for the brownie crust is correct or the baking temperature is correct. 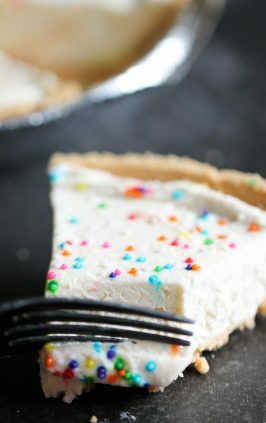 Loved the taste of this cheesecake and would love to take it to family gatherings, but the crust was just too hard. Help! Hi Beverly! I've made this more times than I can count, but I've never had a problem with the brownie portion being too hard. I would probably decrease your baking time and temperature if you try it again! I'm sorry it didn't work for you! I will definitely try it again! I loved the taste and it was easy to bake. Thanks for the reply. 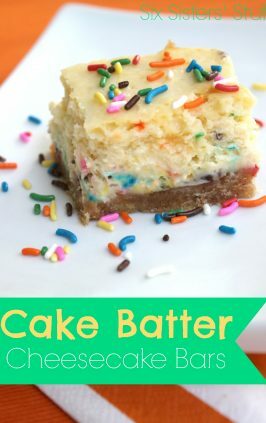 Have you ever tried to make these in a cupcake form? They look great! Just thought a cupcake form might be easier for the holiday traveling! Do you think this could be made ahead and frozen? Without the topping of course. This cheesecake should freeze just fine. Love this recipe. My kids love it too. I don't have a springform pan. What would be a good substitute? The caramel sauce was super runny. Is this right? It shouldn't be that runny. Did you use the small 5 ounce can of evaporated milk? Kraft caramels come in 11 ounce bags now. You need 14 ounces of Kraft caramels. Kraft changed the size of their bags to smaller ones. So be sure you have 14 ounces of caramels. How long does it need to cook for? Hi Megan. You can let it cool for about an hour on the counter. Then refrigerate until it is cooled through.